Mr. Duchoslav’s expertise in geophysics derives from a master’s degree from King Charles University and dual bachelor’s degrees in physics and mathematics. He is an active founding member of the Collegium of Geophysics and KEGS. 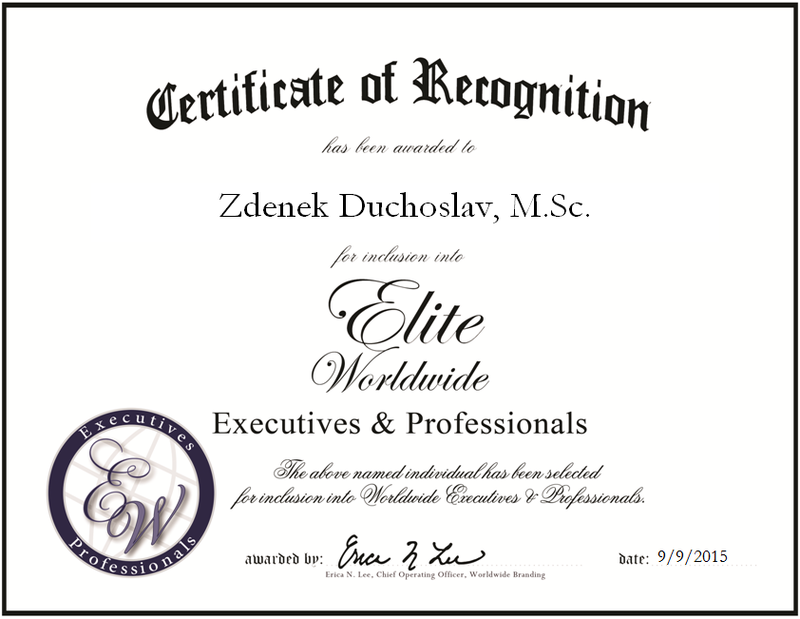 Both organizations have allowed Mr. Duchoslav to remain at the top of the latest developments in his industry. As he moves forward with his career, he plans to continue the exploration of methods for petroleum, precious metals, water and geothermal energy. Mr. Duchoslave would like to find the right balance for extracting the needed materials out of the earth, including gold, silver, precious metals and petroleum gas.